Chandigarh (Punjab) [India], Feb 15 (ANI): Motia Group, one of the leading real estate developers in Tri-City announced its joint venture with AWFIS-India’s largest shared workspace provider, in Chandigarh on Thursday. New Delhi [India], Nov 27 (ANI-BusinessWireIndia): CO-OFFIZ, one of India's fastest growing start-ups has recently launched one of its largest co-working space in Netaji Subhash Place in New Delhi. New Delhi [India], Aug 10 (ANI): GoWork, the world's largest collaborative co-working ecosystem, has announced its plans to raise USD 200 million from PE investors during its next funding round. New Delhi [India], June 27 (ANI-NewsVoir): The Mosaic, India's first premium experiential co-working space offering wellness, and Huddle, a sector agnostic incubator, have entered into a strategic partnership to foster startups in their ecosystem. New Delhi [India], Apr. 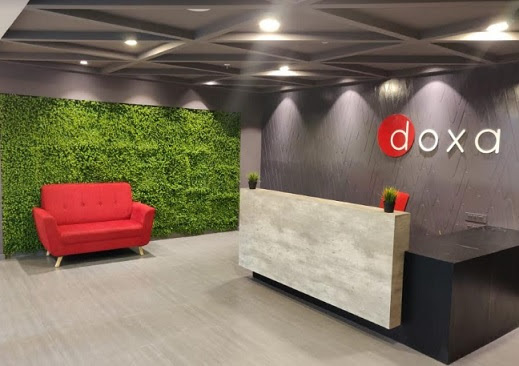 14 (ANI): Collaborative co-working ecosystem, GoWork, has announced its plans to establish co-working centers in Delhi and Bengaluru to cater to the rising demand in these areas. New Delhi [India], Mar. 4 (ANI): The idea of co-working spaces is rapidly growing in the country. While the hubs were dominated by male entrepreneurs, the co-working spaces are attracting a lot of women. Bengaluru (Karnataka) [India], Jan 24 (ANI): Unlocking the doorway for blockchain-based collaborative R&D expeditions, ONE Co.Work on Wednesday announced the launch of BlockLabs, India's first dedicated co-working space for blockchain-related startups.